ATG Wisconsin Staff Awarded by Wisconsin Land Title Association | Attorneys' Title Guaranty Fund, Inc. 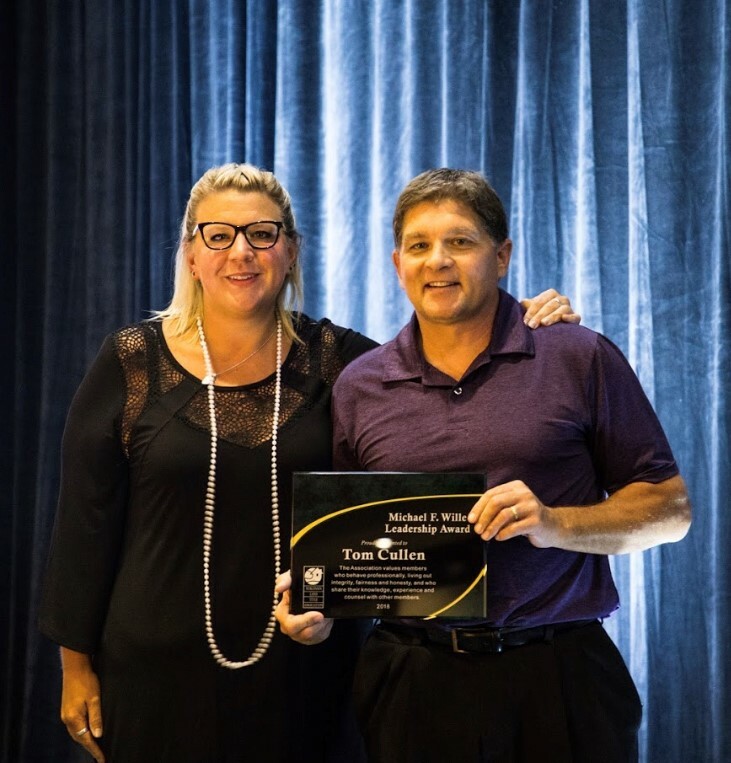 Leadership Award | Tom Cullen, ATG Vice President - Wisconsin Operations and WLTA Past President (2014-2015), received the 2018 Michael F. Wille Leadership Award. This is the Association's top honor and is given to individuals who WLTA values as members, who behave professionally, who are examples integrity, fairness, and honesty, and who share their knowledge, experience and counsel with other members. Committee Chair of the Year Award | Kate Marlin, ATG Underwriting and Title Operations Counsel, WLTA board member and committee member, received the 2018 Committee Chair of the Year Award for her service on the Education Committee and the Convention Committee. This award is given to the person who is considered the most involved during the past year with committee work. The awards were presented during the President's Banquet. "ATG has a long history of involvement and leadership in industry and bar associations. Our people roll up their sleeves and stay close to the issues. We are very proud of Tom and Kate for their dedication and effort. 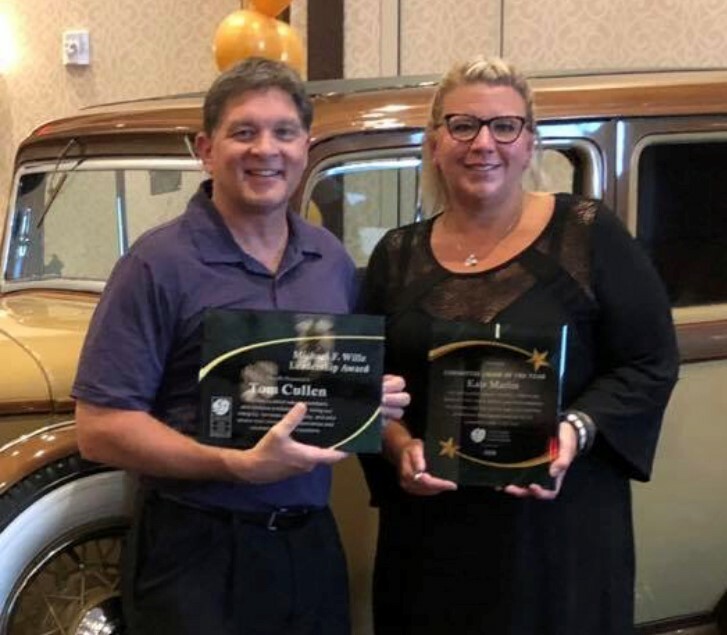 We are also grateful to the WLTA for this recognition, and for the important work they do in Wisconsin," added Peter Birnbaum, ATG President and Chief Executive Officer. The evening had a Great Gatsby theme with vintage cars and other period props. Organizers encouraged attendees to dress in Roaring Twenties costumes. Overall, a very good night for ATG. Congratulations, Tom and Kate! Tom Cullen and Kate Marlin pose with their awards at the WLTA Great Gatsby themed event. 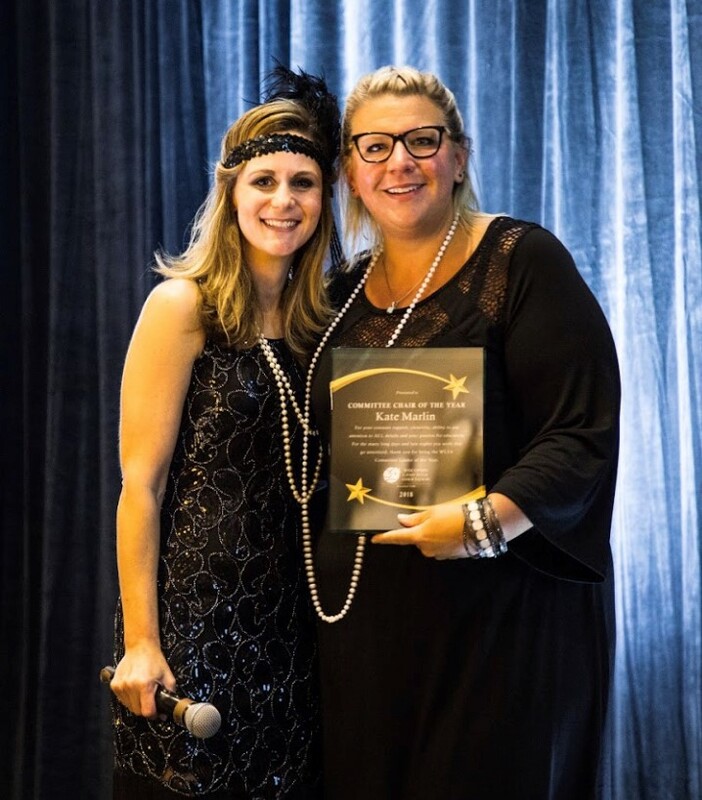 WLTA's event emcee presents ATG's Kate Marlin with the Committee Chair of the Year award. Congratulations to ATG's Kate Marlin and Tom Cullen.